The other week we reached some pretty high temperatures for spring and I did not feel like warming up the house any more than necessary to made side dishes to go along with dinner. I looked around in the fridge to see what we had and found a roma tomatoes and half of a very large English cucumber. Wanting a light and fresh dish, I opted to use fresh basil on this and go minimal on the other flavors to really make the veggies stand out. 1. Combine all ingredients in a large bowl and toss to coat. Refrigerate for 1 hour or until chilled. It doesn’t get much simpler than that does it? 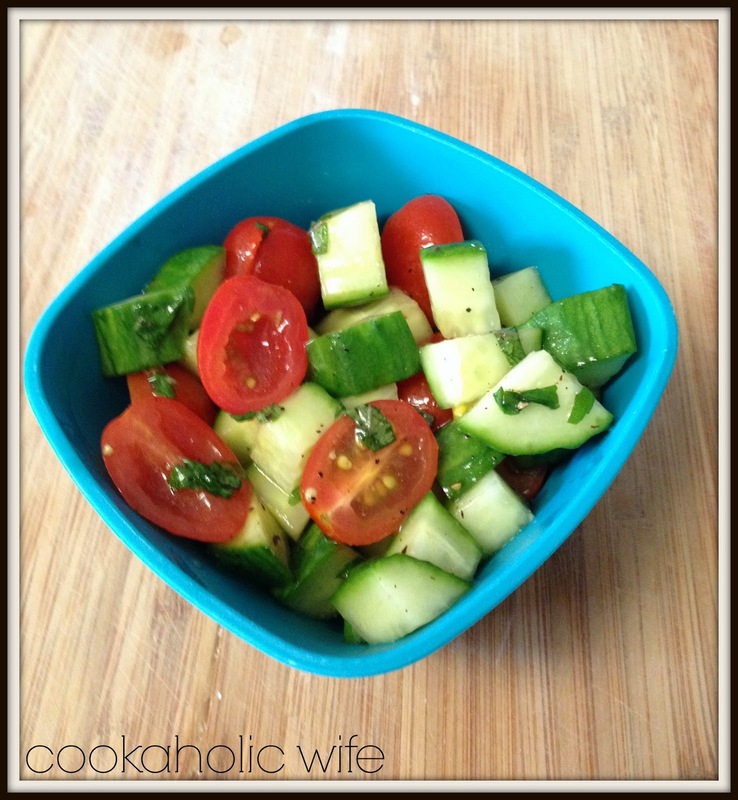 I love me a good tomato and cucumber salad throughout the summer. 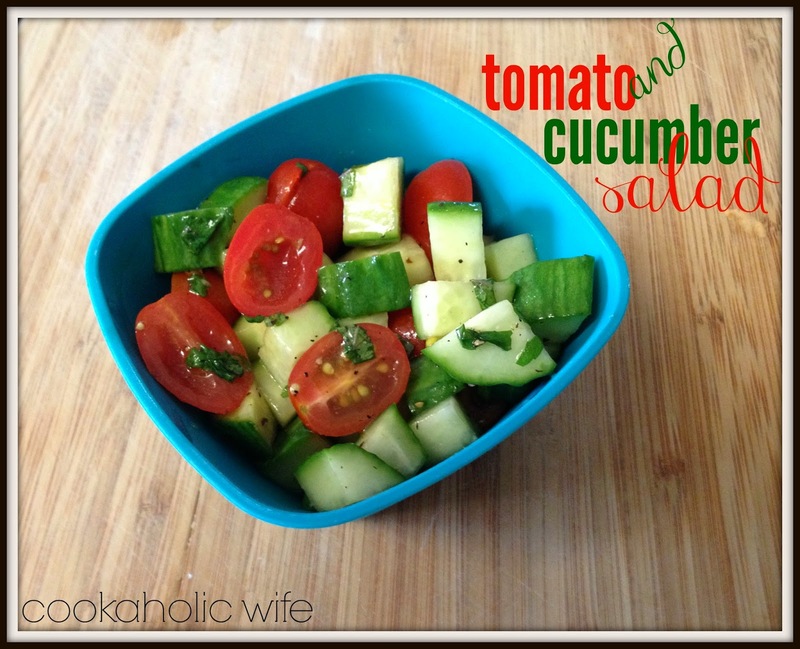 Perfect side dish to burgers, chicken, steaks…just about anything!